Our vision to inspire and empower underprivileged children through education strongly resonates with our family. Our families journey started in this region, and because of unequal access to education our chances of growing and making a positive change within society was slim to none. However, despite the lack of opportunity, we have been able to emerge and become an accomplished, driven, and prosperous multi-generational family. We believe that it is our duty to provide other children and families with the opportunities that we were not awarded in the past. We hope to have our story become a rule and not an exception for future generations to come. "Education is a once in a lifetime opportunity to open children’s hearts and minds to the unbelievable wonder of the universe." Kombe Mohamed, is a professional working in the public sector. He has been an active volunteer in his community, from tutoring economically disadvantaged students in math and English to working with non‐profit organizations such as the Regina Open Door Society, which provides settlement and integration services to refugees and immigrants in Regina. Mr. Mohamed received his Bachelor's Degree in Business Economics from York University in Toronto and is currently pursuing a Master's in Applied Economics & Policy Analysis at the University of Regina in Saskatchewan. DR. KHORSHID is a Clinical Health Psychologist in Los Angeles, California, where she serves as a coach and consultant for individuals, families, executive leaders, and top athletes. She also is a professor at the Chicago School of Professional Psychology in Los Angeles, California, and holds certifications in Biofeedback, Neurofeedback and Medical Hypnosis. Dr. Khorshid is a public speaker for various hospitals and corporations, having given presentations in health behavioral change for organizations such as the American College of Preventive Medicine and the Association of Applied Psychophysiology and Biofeedback. In her spare time, she volunteers with the Los Angeles Caregivers Group and Habitat For Humanity. Dr. Khorshid attended The Chicago School of Professional Psychology and completed her Health Psychology postdoctoral residency at the Cleveland Clinic. Barwako experience includes 10 years as a Client Sales Associate at U.S. Trust, Bank of America Private Wealth services, where she provided support in the areas of wealth planning, commercial banking and custom lending. In addition, she has worked with affluent individuals, business owners and non‐profit organizations to plan, establish and assist with their overall financial strategies. Early in her career, she served as a family consultant at the Children & Teenagers Foundation in Atlanta, Georgia, where she worked directly with troubled families for solutions to increase stability, decrease risk factors, and encourage financial self-sufficiency, mental and physical health and overall well-being. Previously, Ms. Nalayeh served as Program Secretary for Boys and Girls Club Toronto, and as Secretary for Red Door Family Shelter, a Toronto nonprofit registered charity that provides emergency shelter to homeless families and individuals. She earned a degree in Social Work from George Brown College in Toronto. Mariam Al Kassab's journey in education started back in 2002. Her life purpose is to make a difference in the world through education an her love of learning has lead her to pursue this through education. Originally from Baghdad, Iraq, Mariam grew up in Canada, stumbling upon the incredible world of Montessori when in Vancouver, looking for a preschool for her daughter. As a mother she was extremely inspired by the teachings of Maria Montessori and as a teacher she noticed first hand the positive effect of her philosophies in a child's learning environment. She is passionate about giving the right tools to parents and children to explore, discover and learn together so she pursued a degree in Montessori Teaching at the North American Montessori College. In 2007, she moved to the UAE with her family with a dream to make a difference finally became a reality, by establishing her first Kidz Venture Nursery & Play Area location in Ibn Battuta Mall, Dubai, in 2011. Since then, through her venues, she has watched many children learn, grow and thrive. Many children have overcome many labels that society has given them to go on to begin their schooling. In June 2014, KV Kids Club and Daycare opened its doors in Dubai and in September 2016 KV Nursery opened in Abu Dhabi. Mariam's goal in setting up Kidz Venture was to create and provide learning environments that nurture capable, confident and self-assured children in their formative years. Little did she know the love and joy this job would gift her, let alone the friendships formed with parents and colleagues. Kidz Venture is the combination of 11 years of learning, love and hands on experience, coupled with the passion and dedication of her amazing team who aim to make a difference in as many children as she possible can give the gift of learning through play. Abdulqani Ahmed is an esteemed professional with over thirty years of experience in the work force. Once Abdulqani immigrated into North America, he immersed himself into obtaining his degree. He graduated at the top of his class from the University of Kentucky with a Bachelor of Science in Mechanical Engineering. Then in Toronto, from the Career Development Institute Abdulqani received a diploma in computer programming. His educational background spearheaded his engineering career, although, that did not deter from being active with community involvement. Throughout the years, Abdulqani became a leader in his community. He founded the North York Immigrants and Cultural Support Group. The non-profit organization was initiated to provide resettlement assistance for new comers to Canada. During his years as the President his role included, managing the daily operations, planning and executing initiatives to raise funds, distributing planned budgets, along with monitoring financial records. Abdulqani was also tasked with reviewing the portfolios of current and projected initiatives to evaluate progress and determine their next steps. Lastly, he developed training programs, which counseled newcomers in housing and immigration. He achieved his goal in integrating new comers into Canada. His passion of helping others in his community came to fruition, and he continues his work with the community on a daily basis. Samia Mohamed graduated with a Bachelors degree of Liberal Arts and Professional Studies in Criminology and Sociology in Honors from York University in 2017. The double major she chose to pursue in undergrad was to further her knowledge about the criminal justice system and get closer to her objective of attending law school and becoming a lawyer. Samia is a member of the Somali Immigrant Aid Organization, where she has helped organize an academic conference focused on youth resiliency, hate, racism and radicalization. During this conference Samia moderated a panel discussion with esteemed professors and doctors. She is currently an active volunteer for her community and advocates the importance of hard work and education. When she completes her law degree, she hopes to work for the disadvantaged and less fortunate who are deeply neglected by society. Mubarak is a graduate of the University of Ottawa, finishing with a Bachelors Degree in Social Sciences of Health, with a concentration in Psychology and Criminology. This multidisciplinary program allowed him to examine health-related issues analytically, with a focus on the intricacies of social factors and their effect on health. During his studies he worked at the University of Ottawa’s Health Services, Physiotherapy department in conjunction with volunteering with the General Practitioners to re-integrate patients into a smoking cessation program. Mubarak’s passion for sports and exercise drew him towards physiotherapy. Using his eclectic knowledge of anatomy and physiology he now works full-time as a Physiotherapist Aide at a cutting-edge clinic in the nation’s capital, Ottawa. His role consists of administering treatment plans including various modalities, along with demonstrating therapeutic exercises. Mubarak’s goal is to work at the community level to merge various therapeutic approaches incorporating the mind and body. 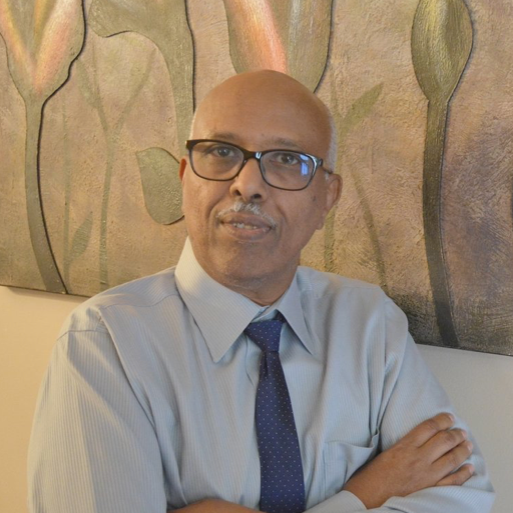 Mr. Ahmed utilizes his yearning to help others by volunteering at the Distress Centre for the Ottawa region and surrounding areas. This urge to help others is mirrored by the foundation’s mission to support and enhance the lives of underprivileged children around the world. Jama Ibrahim is a founding and co-managing partner of Ibrahim & Rao LLP. Mr. Ibrahim practices all aspects of U.S. Immigration and Nationality Law. He assists individuals and families in deportation cases, green cards applications, temporary visas and naturalization/citizenship matters. Mr. Ibrahim is an expert in asylum law and represents clients with humanitarian applications, including U and S visas, as well as applications under the Violence Against Women Act (VAWA). Mr. Ibrahim also assists employers and corporate clients with employment based visas including H1B, H2B, L, E, P, R1 visas, as well as with employment based labor certifications and applications for permanent residence, including EB-1, EB-2 and EB-5 applications. As an experienced litigator, Mr. Ibrahim has handled complex deportation cases representing clients from all over the world in hundreds of trials before the U.S. Immigration Court around the country, including Atlanta and Stewart County (Georgia), Charlotte (NC), New York (NY), New Orleans (LA), Memphis (TN), Cleveland and Cincinnati (OH), Miami and Orlando (FL), Los Angeles (CA), Arlington (VA), Baltimore (MD), and El Paso (TX). Mr. Ibrahim also handles appeals before the Board of Immigration Appeals (BIA) and assists in other federal immigration matters. Mr. Ibrahim’s background as someone who has lived in several countries and traveled around the world before legally emigrating to the U.S. from Canada makes the perfect immigration lawyer with knowledge of the immigration needs of his clients and families. Mr. Ibrahim graduated with a Bachelor's degree in History with honors from Carleton University, located in Ottawa, Canada. He then went on to attend the University of Ottawa law school and graduated with an LLB (Juris Doctor). During his law school years Mr. Ibrahim worked with the University of Ottawa Community Legal Clinic (a pro bono legal aide service) where he gained firsthand experience in client representation and court room exposure. After law school, Mr. Ibrahim moved to Atlanta, Georgia, where he worked for a boutique Atlanta law firm as an associate immigration attorney following his admission to the New York State Bar. In October 2009, Mr. Ibrahim co-founded with Rathi Rao the Firm of Ibrahim & Rao LLP. Within five years Ibrahim & Rao grew from a single office to three full time offices in Atlanta, Gainesville (GA) and Greenville (SC). Mr. Ibrahim speaks Arabic and Somali, and is currently learning Spanish. Mr. Ibrahim is admitted to the practice of law by the New York State Bar and the Supreme Court of New York. He is a long time member of the American Immigration Lawyers Association (AILA), the Atlanta and Alabama AILA Chapter and the New York State Bar. He is an active participant in community activities and is regularly called on to speak on immigration issues in events organized by advocacy organizations. Omar Degan is an architect specialized in Sustainability and Emergency Architecture. He holds a MSc in Architecture for Sustainability at the Polytechnic of Turin (Italy) and CUHK (Hong Kong). Postgraduate school in Habitat and Cooperation-Emergency architecture at the Polytechnic of Turin. He worked in emergency contexts in Europe, South America, Asia and West of Africa. He is now focused on the post-conflict reconstruction of East Africa. Zainab is an Early Childhood Educator and graduated with Bachelors Degree in Sociology Honors and a Bachelors in Psychology, as well as, she has completed a Master’s in Marketing Communication. She was born in Iraq but grew-up in Canada and fell in love with how Canada nurtures learning in children and aims at establishing policies committed to help secure a better future. As a young immigrant child, growing up in Canada, she was exposed to dedicated teachers who kindled her love for education and teaching, and for those reasons she entered the field of Early Childhood Education. As a mother of two-preschoolers, she truly believes that each child has the potential to be the master of their own well-being, and our responsibilities as ECE teachers is to provide them with the tools and the skills. Her long-term goal is to continue her journey and obtain her Doctorate in Educational Psychology in Early Childhood Education. Her research will focus on immigrant children (3-5 years) who have obtained psychological stresses by witnessing war, poverty and/or violent loss of loved ones which have hindered their Social, Physical, Intellectual, Creativity and Emotional (S.P.I.C.E) Developmental stages. She would like to design a curriculum program to be introduced into Early Years Centres that will give Educators the necessary tools to be able to support children whose development has been impeded due to their unfortunate experiences. By focusing on the developmental years of these children, we can ensure we are giving them the necessary skills to help them adjust into the North American Education System and investing into their growing years of becoming well-rounded individuals and model citizens. Zainab's passion and love for education has ignited a longing and thirst for learning and she is keen on sharing her knowledge with the young minds of tomorrow.